A juicy, glistening steak with picture-perfect grill marks. A glass of refreshingly cold milk alongside a stack of pancakes topped with a cascade of syrup. Somehow, ads make the simplest foods seem even more enticing than the real thing. How do they do it? The secret lies in the preparation. Food stylists are specially trained to make the most basic food items look delicious. While this may seem like a simple job, in reality, it requires tremendous skill and attention to detail. Food stylists need to do a lot more than just find the right angle, arrange the food properly, and set up the perfect backdrop and lighting. 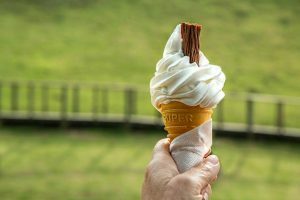 Because a food photo shoot takes an average of 10 hours, food stylists have to deal with melting ice cream, cold and dried-out burgers, and flat soda. And they have to make food items – which usually entice by their smell and taste – seem irresistible, using only visual cues. Their tools? Tweezers, tiny spatulas and spoons, eye droppers, syringes, paintbrushes, makeup sponges, dental tools, and even scotchgard™. Yes, tweezers are the tools of choice for gluing sesame seeds to a bun one at a time. And those perfectly stacked pancakes? They were probably treated with water-repellent spray so that the syrup would slide gracefully over the edge of the stack. Some foods are notorious at going from perfectly photogenic to perfectly disgusting in just a few minutes. For example, take cereal and milk. Pour a bowl of cornflakes, add some milk, and within a few minutes you’re left with a soggy, non-photogenic mess. 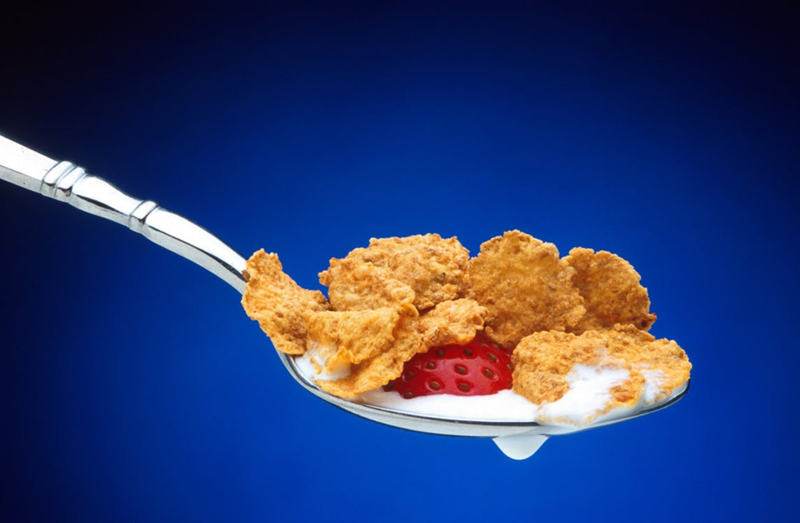 Instead, food stylists might replace the milk with white hair cream or suntan lotion, which keeps the cereal looking nice and crunchy. They might even fill the bottom of the bowl with vegetable shortening, add white glue as a top milky layer, and then carefully poise each flake perfectly on top of the glue. Photos of drinks have a similar issue. The liquid itself is besides the point; what makes a drink look refreshing is the fizz, froth, condensation, and ice. Unfortunately, these are also the parts of the drink that disappear the fastest. That’s why beers and cappuccinos – and even milk and soft drinks – are often built up carefully with piped soap foam, containing bubbles that stay perfectly round. Condensation is often artificially sprayed onto room-temperature glasses, in the form of either a corn syrup mixture or even spray deodorant. And the icecubes? They’re usually just clear plastic look-alikes. And who likes leftover, cold French fries? Here’s how one food stylist perked up those finicky spuds. Hot and cold foods run into similar problems. After all, hot, melted foods no longer looks freshly melted after an hour-long photo shoot, and cold foods soon melt into a liquidy mess. Melted foods are also hard to style in the most appealing way. For example, the melted cheese on a cheeseburger always looks better in an ad than in real life. What’s the food stylist’s secret? The cheese is actually simmered in hot water for several seconds before laying it on the burger, achieving the perfect “melted look” that stays fresh. A pat of butter on top of a baked potato can be melted perfectly using a portable steamer or heated painter’s spatula, even if the potato is stone-cold. And then there’s steam. Nothing shows the freshness of a bowl of soup or pasta like steam wafting from the dish. Luckily, stylists use several tricks to create steam that sticks around. They might use a clothing steamer or cigarette smoke, or even specially made “steam chips.” In some cases, they might microwave wet cotton balls and place them behind the dish to create the perfect steamy effect. 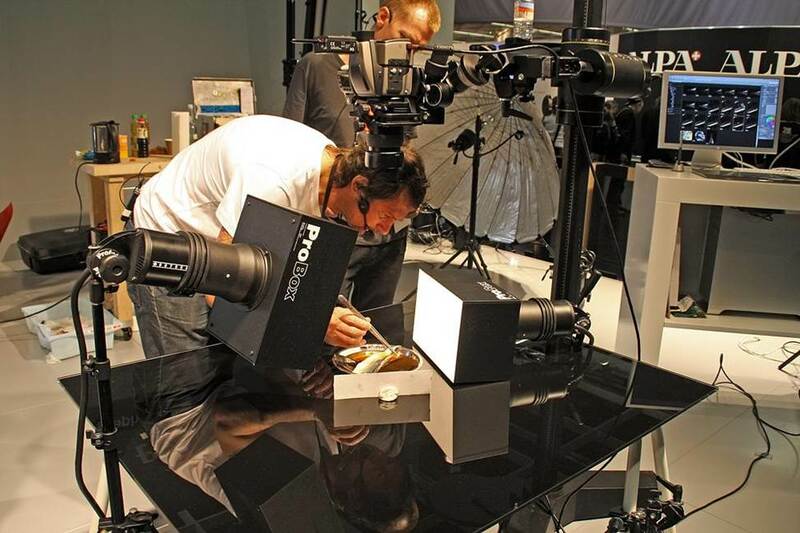 Even foods that won’t move for an hour-long photo shoot can need some extra support – literally. For example, stacked foods like sandwiches, burgers, and pancakes need to be built layer by layer, carefully ensuring that each ingredient is easily visible and appetizing. The layers might be held together with toothpicks or T-pins, and propped up with cosmetic sponges in the back so that the top layer sits at the right angle. Bright red strawberries, gleaming brown turkey, perfect black grill marks on a steak – colors do a lot to catch a consumer’s eye when looking at a food ad. But achieving the perfect color is harder than it looks. Take strawberries. They may contain white patches that detract from their fresh appearance. The solution? Red lipstick. Voila – a consistent red color that will entice even the pickiest palate. Other fruits might be waxed or sprayed with deodorant or WD-40. 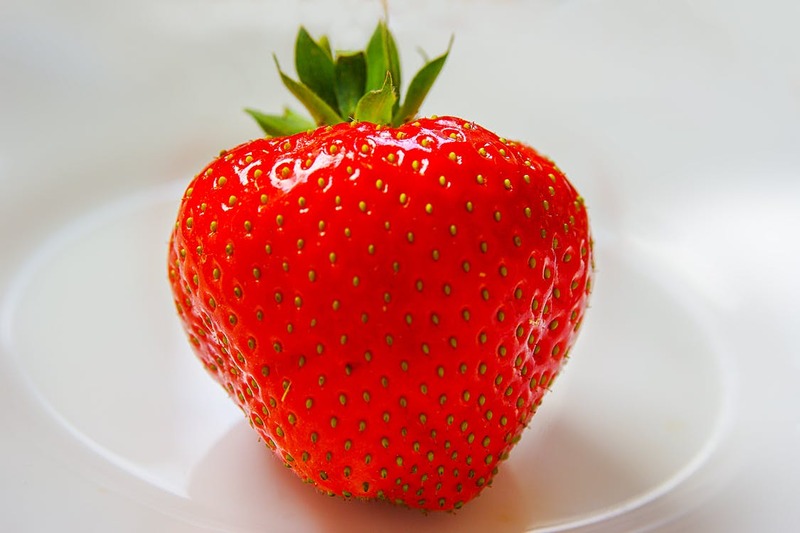 Stylists might even use a syringe or eyedropper to add tiny glycerin drops to the fruit to make it glisten. Then there’s the Thanksgiving turkey. Cooking a real turkey to perfection takes hours and hours, and the outcome isn’t always as picture-perfect as you’d like. Food stylists actually spray the turkey with a mixture of browning sauce, water, and food coloring, before blowtorching it on all sides. As soon as the outside reaches the perfect gleaming brown color, it’s ready to shoot. Sure, it may be red and bloody on the inside, but nobody will ever know. And those perfect grill marks? To ensure they are perfectly even and consistently dark, stylists will make each mark individually using heated metal skewers. Now that you’ve learned the tricks of the food styling trade, you may be up in arms. After all, it seems that they are pulling the wool over our eyes intentionally, marketing their product using a fake replica that barely resembles the real thing. While there may be dishonest food stylists, the unspoken rule of the business is that the item being marketed needs to be the real McCoy. 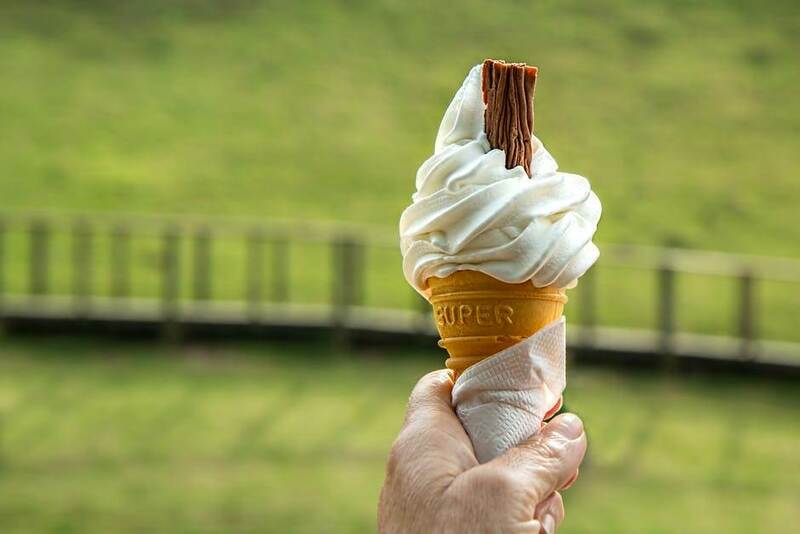 In other words, if an ad is selling Häagen-Dazs ice cream, the ice cream must be authentic Häagen-Dazs, but the whipped cream might be shaving cream. On the other hand, if an ad is selling Reddi Wip whipped cream, the ice cream can be made from frosting and icing sugar, but the whipped cream had better be real. Food stylists view themselves like a hair and makeup team. Their goal is to add just the right “makeup” to the food items to show them at their best. You know the idiom “don’t judge a book by its cover?” It’s a famous saying. Why? Because everyone judges a book by its cover. 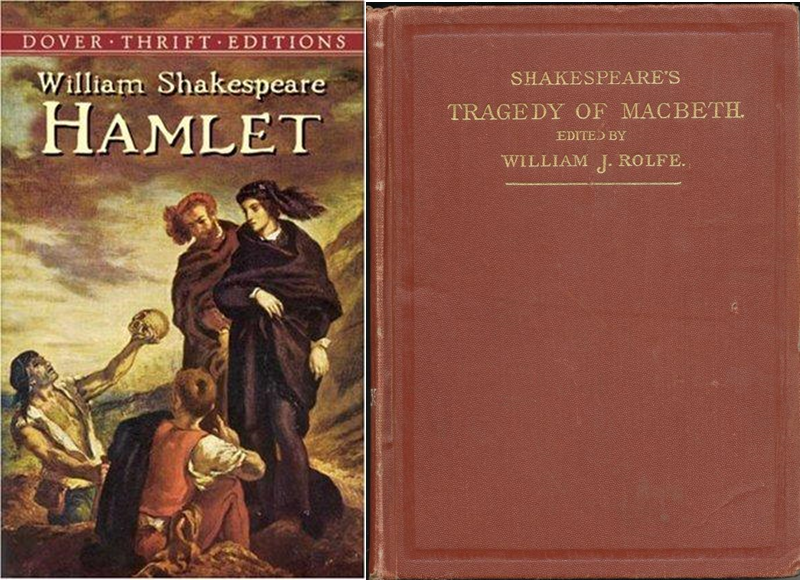 Which of the above books would you rather read? Just like everyone does judge a book by its cover, they will judge your company by the way you look. And “the way you look” encompasses a lot more than you’d think. Let’s say you’re a plumbing company. Yes, we know your employees may have grease under their nails. We know they do dirty work. But would your customers prefer them to show up in greasy jeans? Or in a company uniform? Or consider the reception area in your office. You don’t need to be a millionaire to make it a pleasant place for your clients to wait. Think of it as your own opportunity to “style” your brand. Swap out that stained carpet, the stack of outdated People magazines, and the flickering fluorescent lighting. Comfortable chairs, pleasant paintings, and calming colors will send a very different message to your clients. And lastly, don’t underestimate the importance of your online presence. Often the first place a customer or client looks to find out about your company is your website. Shockingly, some great companies still have amateurish brochures and outdated websites. Putting a bit of extra effort into making your company’s first “ad” more irresistible is always worthwhile. So be a food stylist. Take a step back, and think about how to showcase your company’s authentic image with an eye to detail. Sometimes, it’s the little details – the stray sesame seed, the dead link on your website – that spells the difference between failure and success.